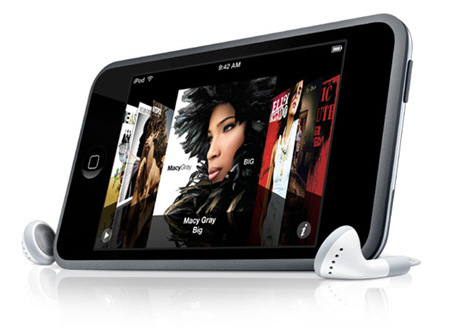 As a follow up to my iPod touch review, there are a few additional features missing from the iPod touch OS in comparison to the iPhone. These are: No Edge Network (obviously); No "Notes" application (this may be a bigger deal once Apple allows us to sync this); No bluetooth; Scratch-able rear surface; No external volume buttons or speakers, and no camera. A lot of people are complaining the screen isn't as good. I don't have a particularly good eye for these things but I put them next to each other and the iPhone did look slightly more vivid. Anyway, there is a great article giving these differences much more detail than I did at iProng.